Rob Deering exploded on to the comedy scene in 2000, reaching the Daily Telegraph Open Mic Award semi-finals, the finals of the BBC New Comedy Award and the final of the Hackney Empire New Act of the Year Competition, as well as winning the prestigious Amused Moose New Talent Award. 2001 brought further success with Rob hosting the legendary Comedy Zone at the Edinburgh Festival; this led to a personal request from Emo Phillips to support him for his festival run. With his easy charm, cheesy singing voice, razor-sharp wit and clownish physicality Rob has quickly established himself as a firm favourite on the london circuit and has played at all the major comedy clubs nationwide. He slayed audiences as a headliner on The Comedy Network and has been commissioned by channel 4 to write and host the comedy series Lesser-Spotted Britain. 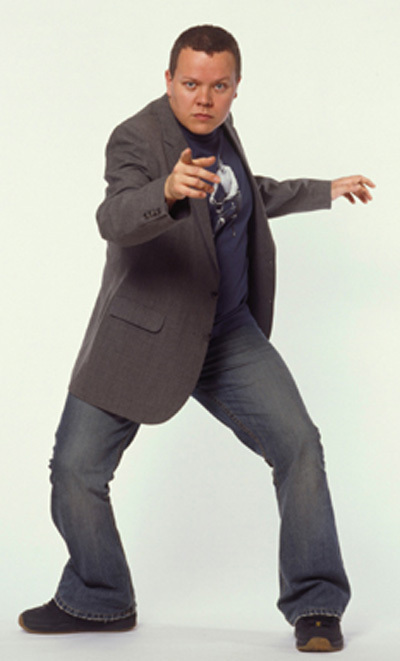 Rob returns to the Edinburgh Festival in 2003, having performed in The World Comedy Tour TV show (Paramount/Granada) in Australia in which he starred alongside the very best international stand-up comedians from around the world. Over the past year Rob has written and performed in Movie Mistakes Uncovered Uncut (Five), was team captain in 20 episodes of the new comedy panel show Totally Top Trumps (Challenge TV), presented a new live TV show entitled Flipside, which critiques TV shows live as they go out on air, and toured the UK with John Oliver, Andy Zaltzman and The Reverend Obadiah Steppenwolf III on the Paramount Presents the Edinburgh and Beyond Comedy Tour. Robs previous Edinburgh Festival shows have included: Superkings (2003), The Facts (2002) and The Comedy Zone (2001). He has also starred in 99 Things To Do Before You Die (Five), appeared on RI:SE (C4), performed in 4 at the Store (BBC Radio 4) and written and presented Lesser-Spotted Britain (C4).